Qingpeng Zhang received the B.S. degree in Automation from Huazhong University of Science and Technology in 2009, and the M.S. degree in Industrial Engineering and the Ph.D. degree in Systems and Industrial Engineering with a minor in Management Information Systems from The University of Arizona, in 2011 and 2012, respectively. Prior to joining CityU, he worked as a Postdoctoral Research Associate with The Tetherless World Constellation at Rensselaer Polytechnic Institute. He also worked at the Pacific Northwest National Laboratory and Chinese Academy of Sciences in the summer of 2011 and 2010, respectively. 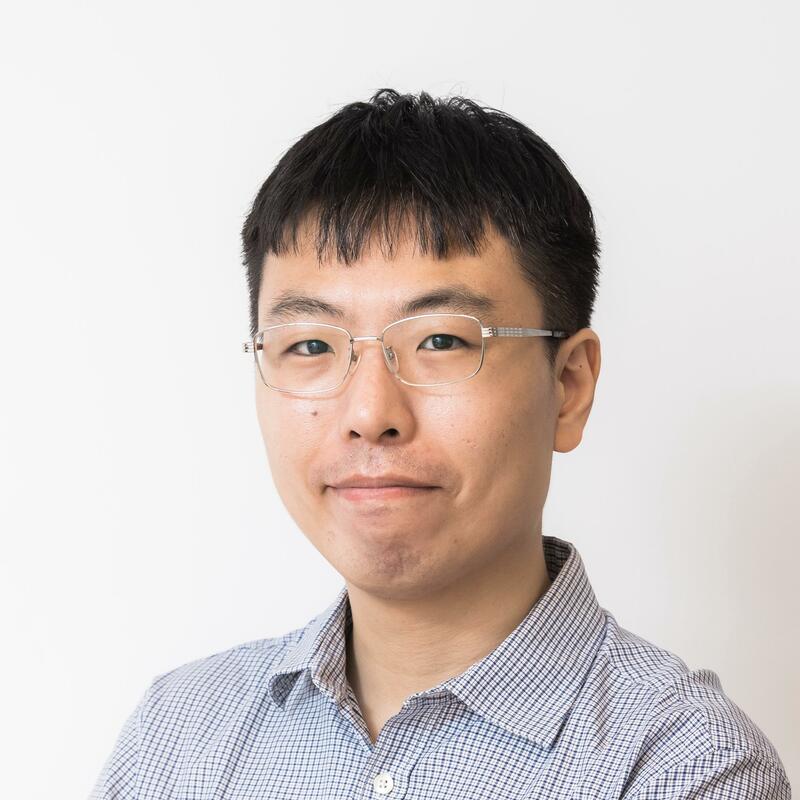 His research interests include social informatics and social computing, complex networks, healthcare data analytics, data mining and semantic web. His work has been supported by the National Natural Science Foundation of China (PI), Health and Medical Research Fund (PI), Guangdong Provincial Natural Science Foundation (PI), and the Theme-based Research Scheme of Research Grants Council (Co-I). Aug 2012 - Jan 2014, Postdoctoral Scholar, Rensselaer Polytechnic Institute. May 2011 - Aug 2011, PhD Intern, Pacific Northwest National Laboratory. Jun 2010 - Aug 2010, Visiting Scientist, Chinese Academy of Sciences. Aug 2009 - May 2012, Research and Teaching Assistant, The University of Arizona. Lai, G. , Zhang, Q. , Wen, D. , Gao, Y. , Feng, Z. , Ke, G. & Lu, H. (2012). A Prototype of the Next Generation Journal System for ITS: Academic Social Networking and Media Based on Web 3.0. IEEE Transactions on Intelligent Transportation Systems. 13(2). 1078 - 1087. Wang, T. , Zhang, Q. , Liu, Z. , Liu, W. & Wen, D. (2012). On Social Computing Research Collaboration Patterns: A Social Network Perspective. Frontiers of Computer Sciences. 6(1). 122 - 130. Zheng, X. , Zhong, Y. , Wang, F.-Y. , Zeng, D. , Zhang, Q. & Cui, K. (2011). Social Dynamics Research Based on Internet Information. Journal of Complex Systems and Complexity Science. 8(3). 1 - 12. Zhang, Q. , Feng, Z. , Li, X. , Zheng, X. & Zhang, L. (2010). 25 Years’ Collaborations at IEEE Intelligent Systems. IEEE Intelligent Systems. 25(6). 67 - 75. Feng, Z. , Zhang, Q. , Li, X. , Ke, G. & Xiong, G. (2010). A Bibliographic Analysis of the IEEE Intelligent Systems. IEEE Intelligent Systems. 25(6). 59 - 66. Wang, F.-Y. , Zeng, D. , Hendler, J. , Zhang, Q. , Feng, Z. , Gao, Y. , Wang, H. & Lai, G. (2010). A Study of Human Flesh Search Engine: Crowd-Powered Expansion of Online Knowledge. IEEE Computer. 43(8). 45 - 53 (as cover feature). Wang, H. & Zhang, Q. (2017). Semantic Expansion Network based Relevance Analysis for Medical Information Retrieval. International Conference for Smart Health. Hong Kong. Huang, J. , Zhang, Q. , Li, L. , Yang, Y. , Chiaradia, AJF. , Pryor, M.R. & Webster, C.J. (2016). Pleasant Urban Experiences: ReExamining Place-Making Theories Using Social Media Data in High-Density Cities. the 52nd International Society of City and Regional Planners (ISOCARP) Congress. Durban. South Africa: ISOCARP. Halcrow, C. & Zhang, Q. (Jun 2015). A values and psychological attribute approach to the analysis of the Scottish Independence Referendum context in Twitter. ACM Web Science Conference. Oxford. UK: University of Oxford. Zhang, Q. , Makni, B. & Hendler, J. (Aug 2014). The Twitter Observatory: Exploring Social and Semantic Relationships in Social Media. 8th Chinese Semantic Web & Web Science Conference (CSWS 2014). Wuhan. China: WHU. Zeng, K. , Wang, X. , Zhang, Q. , Zhang, X. & Wang, F.-Y. (Jul 2014). Behavior Modeling of Internet Water Army in Online Forums. The 19th World Congress of the International Federation of Automatic Control (IFAC 2014). (pp. 9858 - 9863). Cape Town. South Africa: IFAC. Gloria, M.J.K. , McGuinness, D.L. , Luciano, J.S. & Zhang, Q. (2013). Exploration in Web Science: Instruments for Web Observatories. 1st International Web Observatory Workshop (WOW'13, in conjunction with WWW'13). Rio de Janeiro. Brazil: IW3C2. Dominic, D. , Zhang, Q. , Gloria, M.J.K. & Hendler, J. (2013). Large Scale Social Network Analyss Using Semantic Web Technologies. Semantics for Big Data (S4BD), AAAI 2013 Fall Symposium. Arlington, VA. USA: AAAI. Wang, T. , Zhang, Q. , Fu, J. , Wang, X. & Zheng, S. (2013). What is the Difference of Human Flesh Search Dissemination?. Pacific AsiaWorkshop on Intelligence and Security Informatics, (PAISI’13, in conjunction IJCAI’13). Beijing. China: IJCAI. Gloria, M.J.K. , Bazan, S. & Zhang, Q. (2013). When Freedom Goes Global: Are We All Equally Safe On Social Media?. ACM Web Science 2013 (WebSci’13). Paris. France: ACM. Zhang, Q. , Feng, Z. , Zeng, D. & Wang, F.-Y. (2010). Modeling Cyber-Enabled Crowd-Powered Search. The Second China National Conference on Social Computing (NCSC'10). Beijing. China: CAA and ACM. Xu, R. , Zhou, J. , Zhang, Q. & Hendler, J. (2017). Research on Online Health Communities, A Systematic Review. Encyclopedia of Social Network Analysis and Mining (2nd edition). Springer. Zhang, Q. , DiFranzo, D. & Hendler, J. (2017). Social Networking on the World Wide Web (2nd edition). Encyclopedia of Social Network Analysis and Mining (2nd edition). Cao, J. , Duan, D. , Yang, L. , Zhang, Q. , Wang, S. & Wang, F.-Y. (2016). Social influence analysis in the big data era - A review. Big Data over Networks. Cambridge University Press. 9781107099005. Xu, D. , Meng, C. , Zhang, Q. , Bhardwaj, P. & Son, Y.-J. (2014). A Hybrid Simulation-based Duopoly Game Framework for Analysis of Supply Chain and Marketing Activities. Applications of Multi-Criteria and Game Theory Approaches. (pp. 227 - 261). Springer. 978-1-4471-5294-1. I am looking for highly motivated Ph.D. students to do research on social network analysis and healthcare analytics. Interested candidates please send your CV, transcripts, and publications (if any) to me for consideration.